Reel Tech supplies a large range of AV reels for all cabling applications. Long cables used in broadcast, production, recording, events, concerts, and studio require suitable storage and easy payout. Reel Tech’s AV reels are heavy duty and are available as a modular system with a range of optional accessories to suit every application, fixed or mobile. Not only do Reel Tech’s AV reels function incredibly well, they also feature a stylish matte-black, non-reflective finish, which helps to create a harmonious performing environment. Lightweight, ergonomic design ensures safe handling and storing of cable every time. Being stackable also means that they are extremely easy to transport and maximise on storage space. Adjustable Cam-lock drag brake locks cable in place for secure operation. Caster wheel sets can be added to any reel for a smooth, convenient and portable cable transport solution. Pneumatic tyres are available on some models for heavy weight applications. The addition of a slotted divider disc within the reel spool provides unobstructed access to both cable connector ends and allows connector pigtails to be safely stored alongside snake cable. 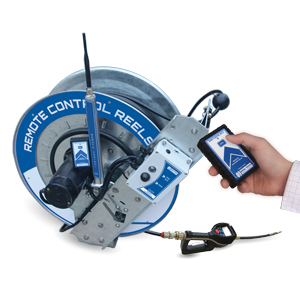 As with all Reel Tech reels, the standard range is versatile and suited to many applications. In addition to modular, easy-fit options, Reel Tech can help you fully customise spool and reel to your exact specification to unearth the cable solution you require for any application. All of our AV and AVX reels meet international standards and are designed and constructed specifically for your business – never retrofitted to the job – so you can expect unsurpassed fit and function. Hannay has the solution if you’re looking for a better way to organise, store, and transport all the cables you use in studio production, live events or remote broadcasts. The audio/video reels are specifically designed to meet all your broadcast and pro-audio needs. These non-reflective black reels are durable and lightweight. Using a portable hose reel in your operation allows you to move equipment where you need it and keeps hoses and cables safe from damage. 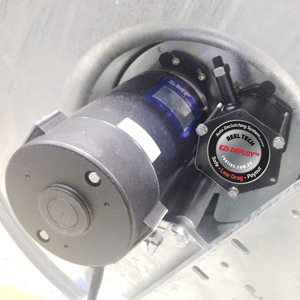 Reel Tech offers an extensive line of customisable hose reels that move where you do. Trying to save a few dollars by not buying a hose reel will end up costing you money in other ways. Hoses and cables rolled up and ready to use on a reel that you can move easily from one location to another saves time and produces efficiency. Hose reels protect hoses and cables from being run over by heavy equipment that will reduce the life of the hose or cable, which would then require replacement sooner rather than later. The initial cost of a hose reel will be quickly offset by increased productivity and longer life of your hoses and cables. 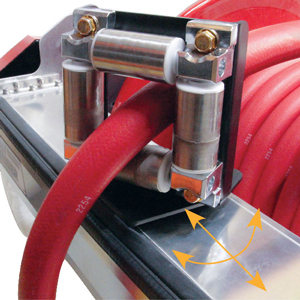 A portable way to transport hoses or cables throughout the workplace eliminates the need for multiple hoses or cables and provides a safer working environment. 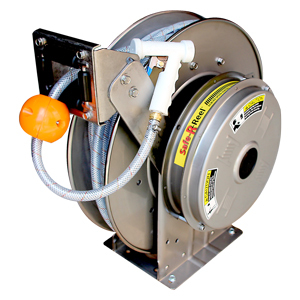 A portable reel allows you to quickly move the rolled up hose or cable to the next work area increasing efficiency. Storing unused hoses and cables properly eliminates hazards in the workplace, specifically tripping. Our vast experience with hose reels offers you quality products that perform as intended. We can customise any reel to suit your specific requirements to enable your operation to function efficiently and safely. Contact us for more information on our line of hose reels that make work easier.